GOLDSBY, Oklahoma (May 11, 2017) — It isn’t every day you get a chance to sell land that has never been offered to the public. 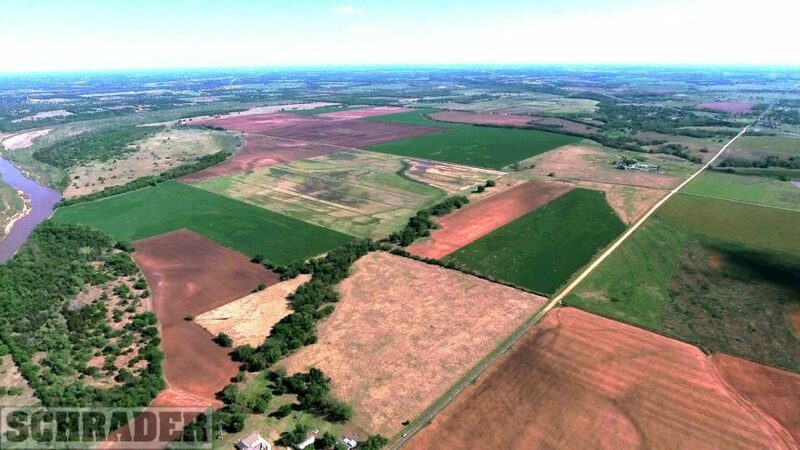 But that’s what will happen Wednesday, June 21, when Schrader Real Estate and Auction Company auctions 2,117 acres south of Norman. The land is part of the well known Johnson Ranch, named for Montford Johnson, who was born in 1843 and raised by his Chickasaw grandmother. The family has held the land he inherited ever since — for more than 140 years. Now, it is being offered at auction in 38 tracts, ranging in size from approximately seven to 208 acres, according to Brent Wellings, Southwest manager for the auction company. “The family is finally ready to sell the land, 1,371 acres of which is just off Interstate 35 at Exit 101, including a ridgeline along Ladd Avenue, with incredible views of the fertile farmland below,” said Wellings. “Some bidders will be interested in the beautiful home sites along Ladd Avenue while others will be focused on the farmland tracts,” he said. The other 746 acres in Newcastle are likely best suited for future commercial and residential development, with two miles of frontage on Highway 9 and 62. Some bidders may also be interested in creating a historical attraction on some of the land, according to company President R.D. Schrader. “Given the remarkable history of the property, there’s potential for a museum, perhaps themed around the historic farm house, which was built in the late 19th century,” said Schrader. Schrader personnel will be available May 17, June 5 and June 19 to accommodate inspections and provide land tours. Individuals seeking additional information may visit www.schraderauction.com or call 800-451-2709. The auction will begin at 2 p.m. Wednesday, June 21, at Southwind Hills, 468 SW 24th Avenue, Goldsby, Oklahoma, 73093.